Congratulations to Melody Schwartz and Marjie Kemper! We loved Melody's Journal Cover with her hand crocheted flower. 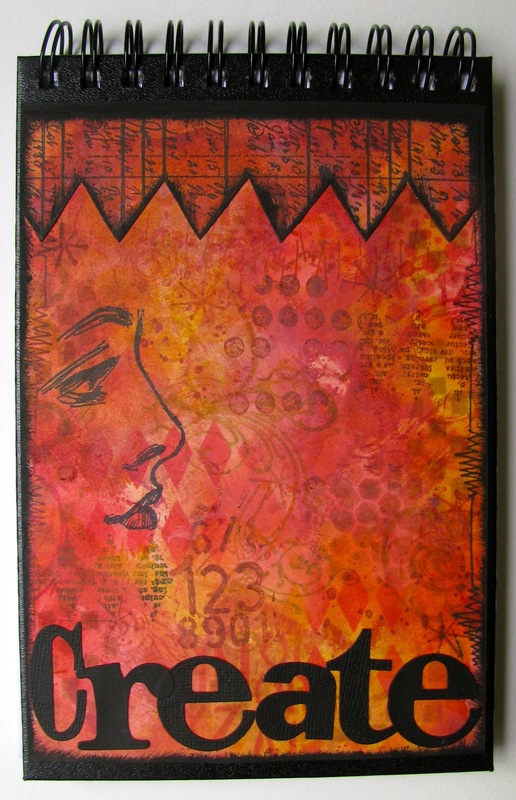 There are lots of texture and dimension to her Art. You can see more of Melody's creation on her blog at Lilacs and Butterflies for the joy of creativity. We are excited to have Marjie join the E-Team for our May Blog Hop. 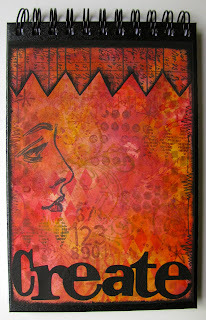 Marje shared a colorful journal cover over on her blog at She Who Stamps & Scraps. Loved the 5.5 x 8 size and can't wait to see her first entry. until it's in hot water." COngratulations to the winners! I am enthousiastic about the the rest of these challenges. So honored to be guesting for you! Daisy, I've placed my order for the blog hop candy that I won, but the pay pal/credit card method won't let me pay the overage, so therefore, I can't place an order. What do I do? My credit card and other information is correct, but I keep getting a page that says it can't go on.